Item is a photograph from the visit of the Yugoslavian Ambassador to Dalhousie on November 2, 1979. 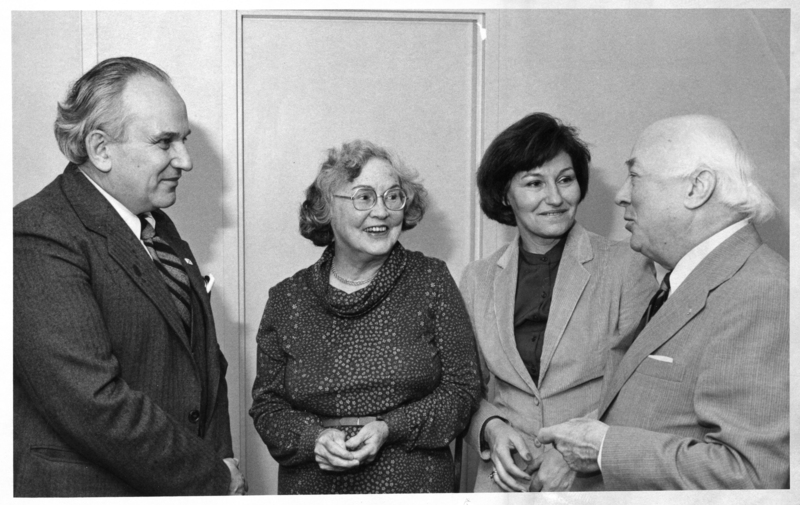 Photograph shows (from left to right) Mitko Calovski, Yugoslavian Ambassador to Canada; Mrs. Hicks; Mrs. Calovski; and Dr. Henry Hicks. File contains duplicate copies of this image. Photograph was published in University News, November 1, 1979.